In what lawyers for Virginia death-row prisoners have called “a landmark ruling,” a federal judge has issued an injunction barring the Commonwealth from subjecting prisoners who have been sentenced to death to automatic solitary confinement, physical isolation from visitors and other prisoners, and other harsh conditions. In a decision issued on February 21, Judge Leonie M. Brinkema wrote that the conditions to which Virginia subjected death-row prisoners before instituting reforms in 2015 violated the Eighth Amendment proscription against cruel and unusual punishments. 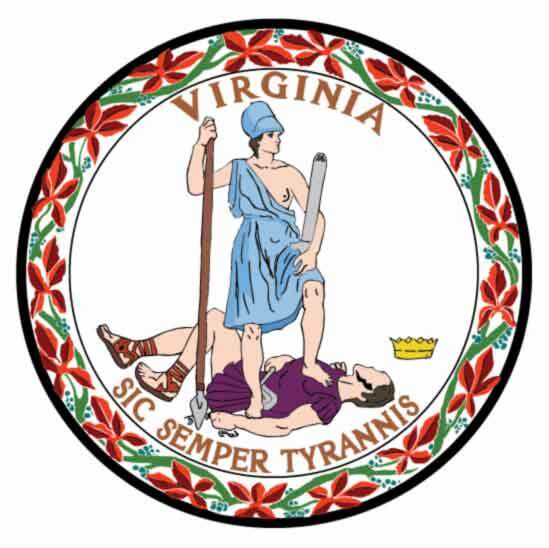 Virginia had refused to commit to keeping the reforms, which it adopted only after the prisoners initiated suit, and the court's order prevents the state from reverting to the prior unconstitutional conditions. Before 2015, death sentenced prisoners spent about 23 hours a day alone in a 71-square-foot prison cell and were separated from visitors—including family members—by a plexiglass wall, although the warden had discretion to permit contact visits with family. For one hour a day, five days a week, prisoners were taken to a small “outdoor cell” with a concrete floor and no exercise equipment. Death-row prisoners were barred from the recreational facilities used by prisoners in the general population and allowed to shower only three times per week. Brinkema decided in favor of the three remaining death-row prisoners who had sued the state in 2014. While the suit was pending, one of the orginal plaintiffs, Ricky Gray, was executed and another, Ivan Teleguz, was granted a commutation. Lawyers for the prisoners said Brinkema's decision was the first time a court had ruled such conditions unconstitutional. In granting the prisoners' petition, the court said that “the rapidly evolving information available about the potential harmful effects of solitary confinement” set this case apart from prior prison-conditions lawsuits, and as a result the prior “decades-old determinations” by the Supreme Court and federal appeals court upholding death-row prison conditions were not binding. “As courts and corrections officers across the country have begun to realize, the years-long isolation that the pre-2015 conditions of confinement forced on plaintiffs created, at the least, a significant risk of substantial psychological and emotional harm,” Brinkema wrote. Kathryn Ali, one of the lawyers for the prisoners, said “[t]he law in this area is very bad but it's also very old. ... Judge Brinkema's ruling is a landmark ruling but i think its also just common sense, that we shouldn't be torturing people by keeping them in isolation.” Victor M. Glasberg, who filed the lawsuit on behalf of the five original plaintiffs in 2014, said the court's decision could have implications for prison-conditions lawsuits in other states. “This opinion should serve as a snowball let loose at the top of a snowy mountain, to turn into an avalanche as advocates in other states bring similar suits to end what has become increasingly recognized as untenable conditions in which to hold human beings,” he said. Under the reforms Virginia implemented in 2015, death-row prisoners are permitted to have contact visits with family members one day per week, for up to an hour and a half, as well as non-contact visits on holidays and weekends. They now have access to a covered outdoor yard for up to an hour and a half per day, five days a week. The yard has a basketball court and exercise equipment, which up to four prisoners at a time may share. Virginia now also permits daily one-hour access for up to four prisoners at a time to an indoor recreation space that has games, music, and a television. Death-row prisoners also are now permitted to shower daily. 70% of the approximately 2,900 prisoners on death row in the U.S. are automatically held alone in their cells for more than 20 hours per day, with nearly two-thirds in solitary confinement more than 22 hours per day. In March 2017, in settlement of a death-row conditions lawsuit, Arizona agreed to end its policy of automatically and indefinitely incarcerating death-row prisoners in solitary confinement. In February, a federal appeals court declared unconstitutional Pennsylvania's practice of automatically keeping prisoners whose death sentences had been overturned in solitary confinement pending the outcome of retrial or resentencing proceedings and its death-row prisoners have recently filed suit challenging the state's automatic indeterminate use of death-row solitary confinement. (Rachel Weiner, Federal judge orders Virginia to retain death row revisions, Washington Post, February 22, 2018.) Read the federal district court opinion in Porter v. Clark, here. See Virginia and Death Row.